The integration allows you to reward points to customers when they submit their contents such as reviews, photos and more, enticing the customers with additional motivation to contribute to your User-Content generation strategy. 3) You can start setting up the rewards by click on 'Earning Points' => clicking “Start a New Campaign” button, on the next page, select “Custom Action” at the bottom of the page. 6) Go to Stamped.io Dashboard, under Settings => Integrations => Swell Rewards => click on 'Instructions'. 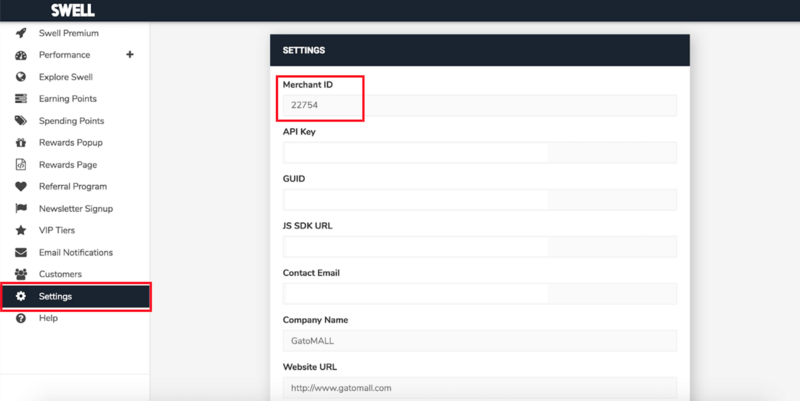 Fill in the Merchant ID and API Key you've grabbed from step 4 above. Note: Please ensure you have the correct API Key for each action.